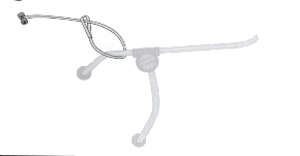 This product does not have universal fit so please check the Thule fit guide to see if it is suitable for your vehicle. This product is only available in store. 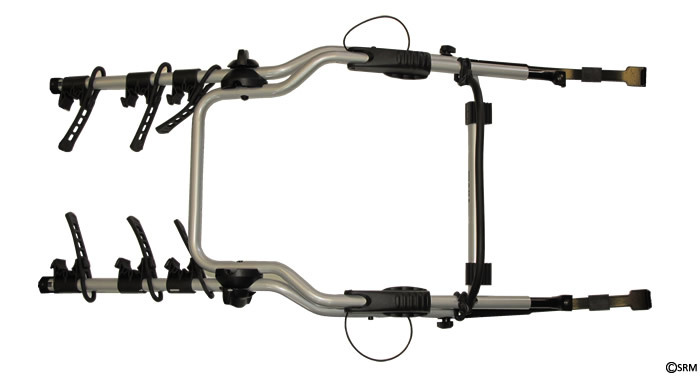 The Thule Clip_on bike carrier Has unique snap-on system to attach to the rear door/hatch back. After initial setup the carrier can be quickly fitted to and removed from the vehicle. Soft rubber cradles with grooves for cables cushion the bike. Folds flat for storage when not in use. What Steve thinks...... We have used a 9103 on my wife's old VW Polo for the last couple of years. It has worked well and done the job of carrying a variety of adult and kids bikes. You do need to be careful with fitting and removal to avoid scratching and dinging your paint work. If it is listed for your car I think the extra dollars for the Thule RaceWay bike carrier is worth the investment from an ease of use and to give more protection to your vehicle from contact with the carrier. Otherwise the ClipOn is a good option for avoiding fitting a tow bar to your car. Please see the Thule vehicle application list for comaptibility. Otherwise you can consider roof rack bike carriers or towbar bike carriers.